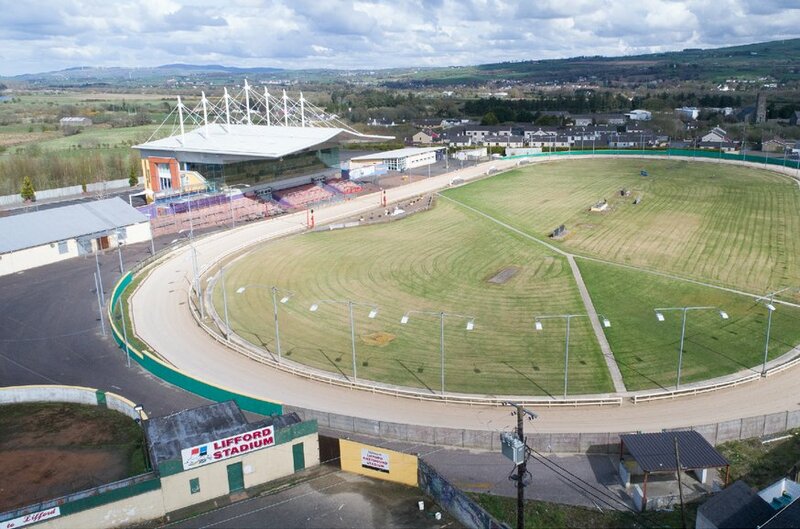 Lifford Greyhound Stadium is located in Lifford, a small town in County Donegal on the Northern Ireland / Republic of Ireland border, the border being the River Foyle. Lifford is located approximately 1 mile from Strabane, 15 miles from Derry/ Londonderry and 15.8 miles from Letterkenny. 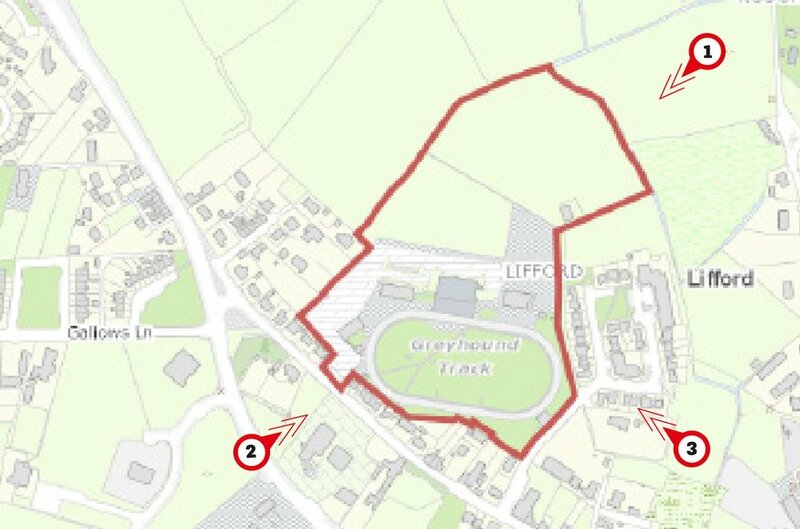 The majority of the land use surrounding Lifford is agricultural land, with a small number of residential developments and several detached dwellings. 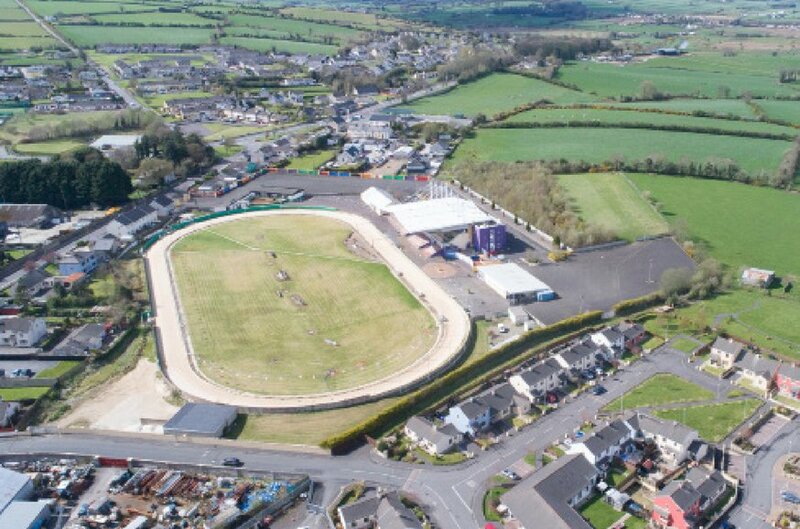 Commercial operators in the town include Eclipse Cinema, Applegreen Filling Station, Donegal Creameries, Ulster Bank and a number of local business operators. The subject property is located on the Ballyduff Road, one of the main roads running through Lifford. 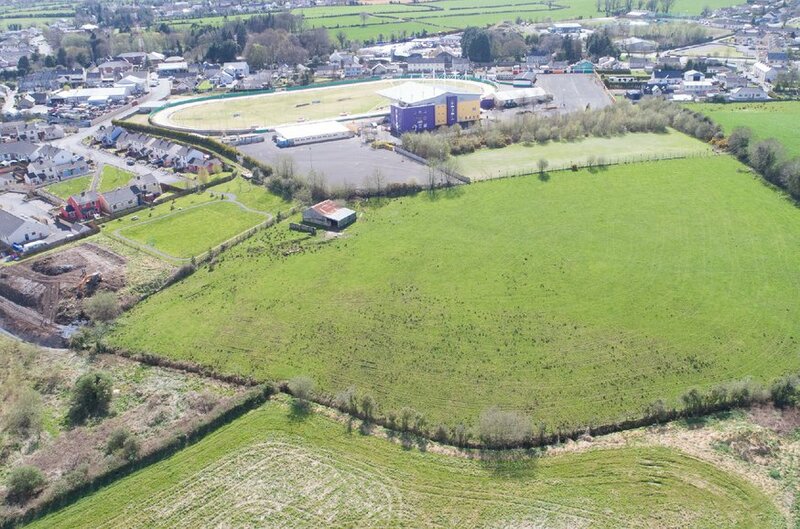 The subject property is accessed from the Ballyduff Road which is situated at the south west side of the land. We note there is also a secondary entrance from Ballyduff Park to the south eastern end of the land. 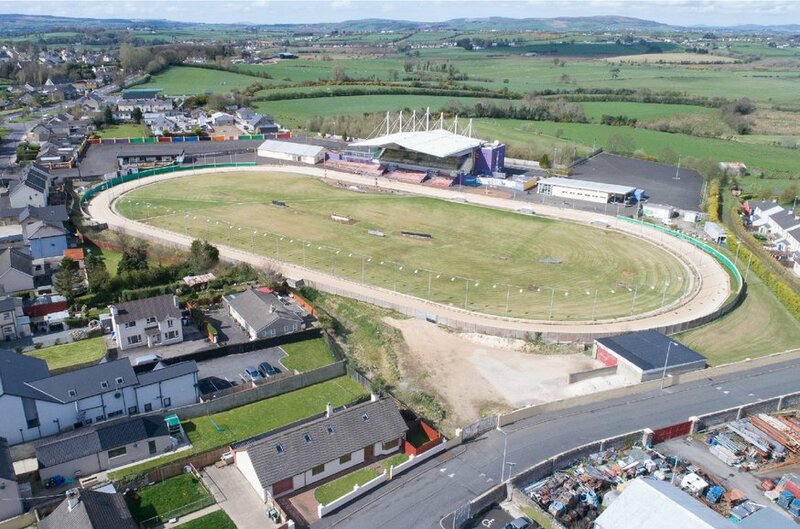 The subject property comprises 17.5 acres of land which can be categorised into two main parts; Firstly, the stadium, kennels, racetrack and car parking facilities and secondly the agricultural land to the north. The stadium comprises a state of the art entertainment venue which has received significant investment over recent years. The property is set over three floors and benefits from two passenger lifts. 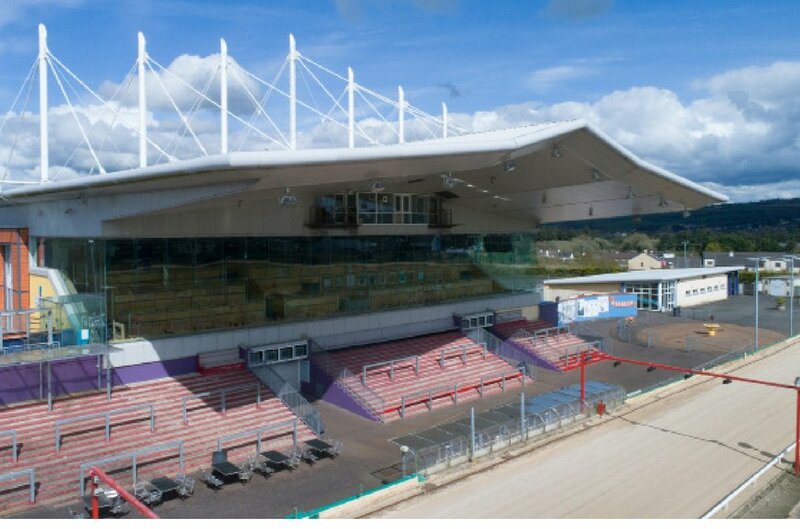 The property has fully glazed frontage with canopy overlooking the racetrack. 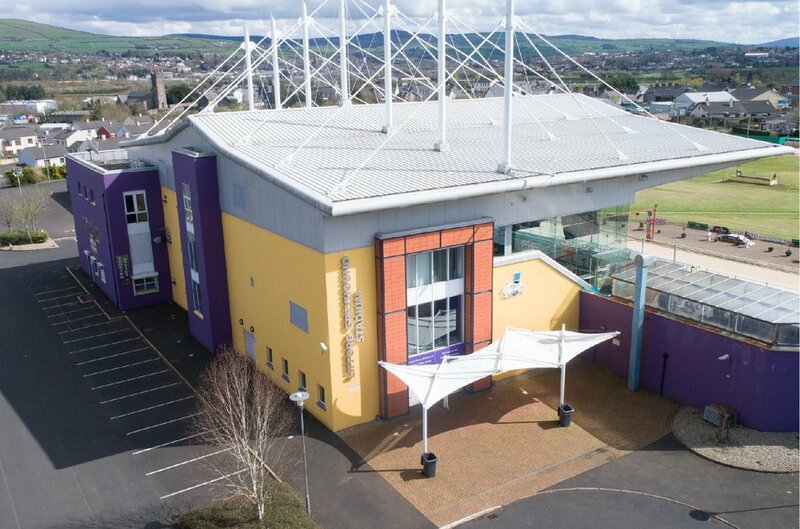 There are several entrances situated around the building with the main public access to leading from the car park There are viewing stands and seating areas externally. 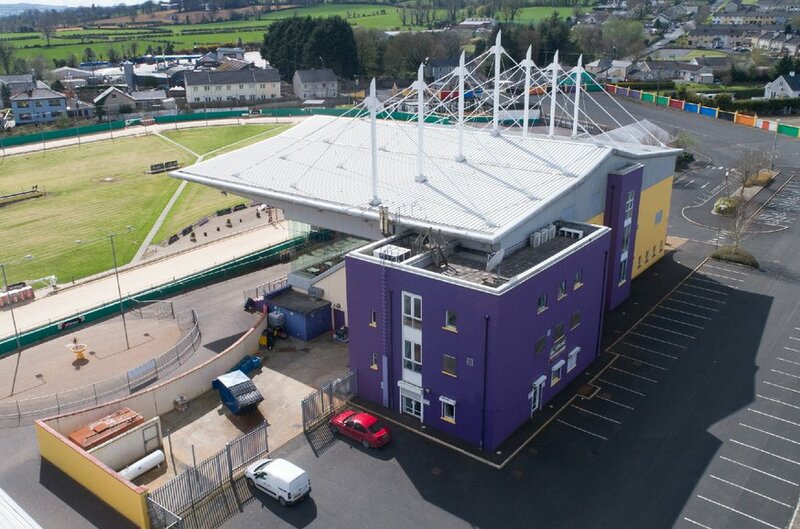 The ground and first floors are comprise a bar and 240 seater restaurant with fully fitted, catering standard kitchen and ancillary facilities. The second floor is not open to the publiuc and comprises betting offices, private offices, W.C. facilities and plant room. 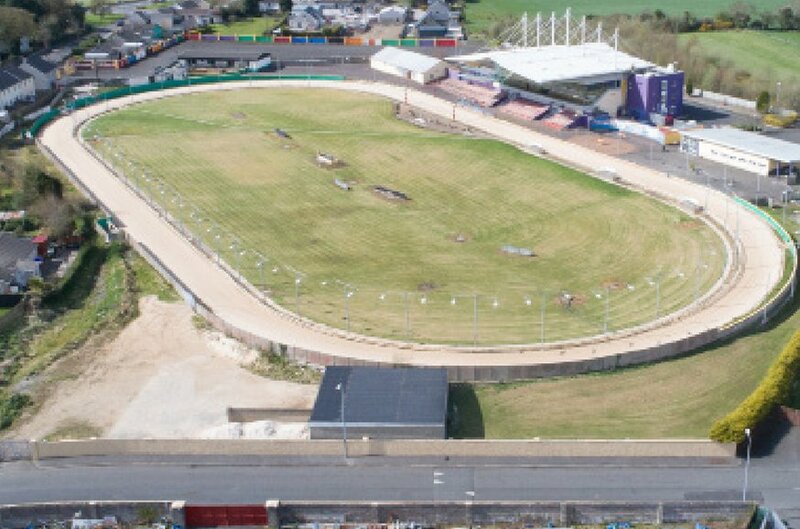 In total, the NIA of the stadium is c. 1,671 m2 / 17,987 sq ft.
Externally, there is a 500 yard race track with 5 sets of hydraulic traps. The rack track is laid in sand and bound by block wall, wooden fencing and metal fencing. 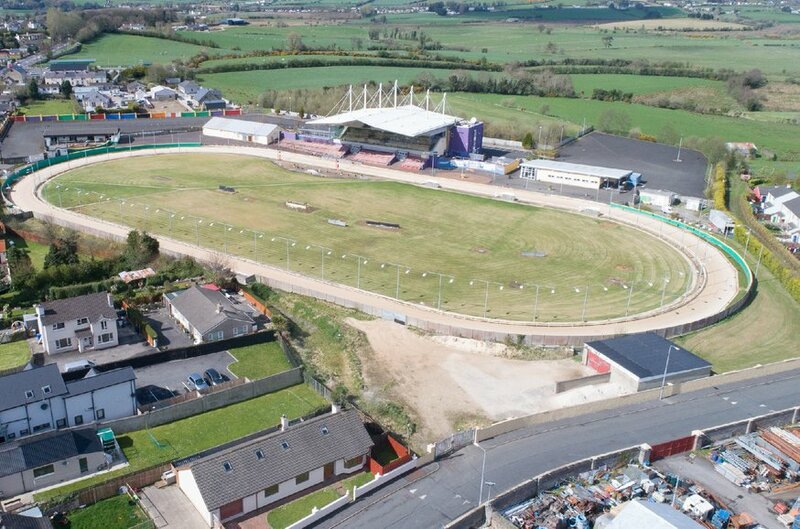 In recent years a new kennel block has been constructed to the north eastern side of the racetrack. The kennel block is c. 362 sq m (3,900 sq ft) and has the capacity to house 78 dogs at any one time. The former kennel block sits to the western side of the track and is no longer in use. 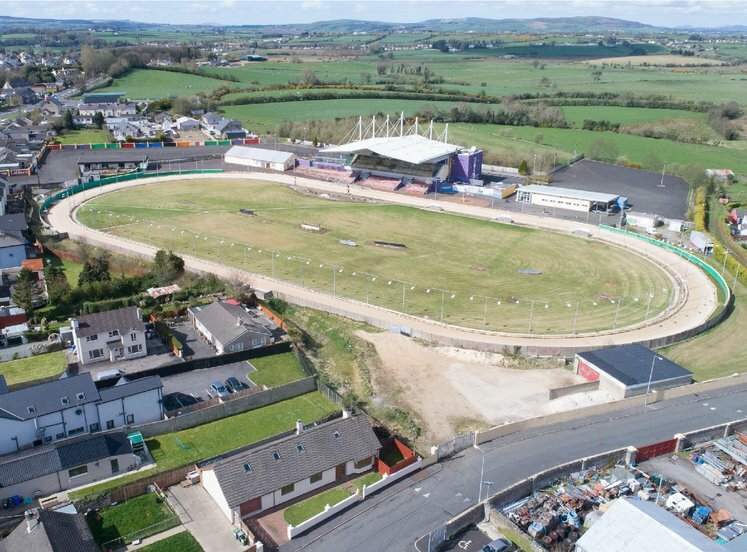 There is an additional building on the north western side of the race track which has live conditional planning consent to change the use to a ‘private members casino club with connection to existing services. The permission was granted on 7/9/2017 and is valid for 5 years. 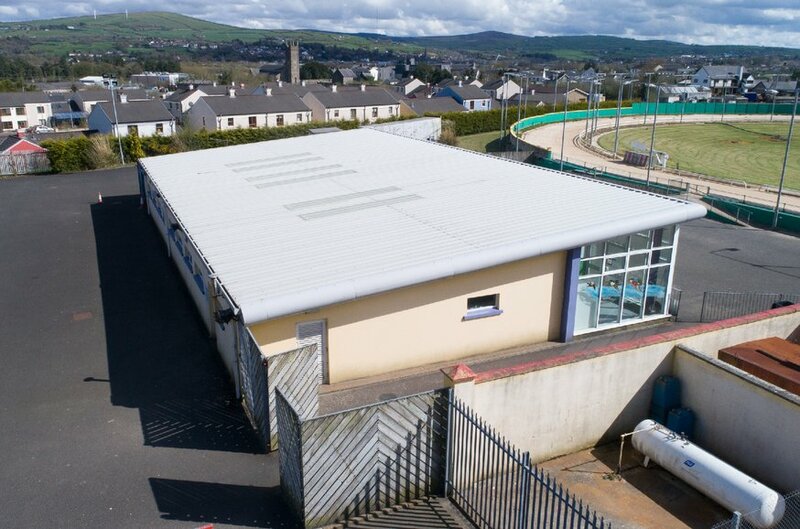 Currently, this building is fitted out to accommodate an additional function venue with a bar, kitchen, W.C. facilities and seating area. This one storey building covers an area of c. 326.9 m2/ 3,517 sq ft. The land is bounded by the stadium carpark at the southern end and part fencing, part hedgerow around the north, east and west. The subject appears to be of average quality grazing land. We have reviewed the planning history of the site there is a live consent to change the function room/ building into a ‘private members casino club with connection to existing services.’ This conditional planning consent is under ref 1751195 and was granted on 7/9/2017 and is conditional to 10 items. Stadium and Track - Community / Recreation / Education. Dog Paddock and small field – Opportunity site. Part of large field – Residential / Low density residential. Part of large field – Mixed use. We are instructed to seek offers in the region of €1,900,000 exclusive (One Million, Nine Hundred Thousand Euro) for our client’s interest, subject to contract and exclusive of VAT. Informaton on the rateable values have been obtained from Donegal County Council and the Valuation Office websites. Purchasers are advised to make their own enquiries to ascertain up to date ratable values. All prices, outgoings and costs are exclusive of, but may be liable to, VAT. Any information and documentation provided by you will be held for a period of five years from when you cease to have a contractual relationship with Lisney. The information will be held in accordance with General Data Protection Regulation (GDPR) on our client file and will not be passed on to any other party, unless we are required to do so by law and regulation.